Affordable travel is possible, but not for beginners. For the past 100 years, human beings have found a way to visit foreign corners of the globe, almost regardless of means or income. The thing is, these people have been very frugal in important situations. Rather than blowing their whole budget on food, lodging, or transportation, they saved on these, and left money for to extend their travel experiences into longer and better territory. The expenses of travel are great, but they’re isolated into specific spending arenas. If you are able to save in these specific areas, travel simply won’t cost that much, no matter where you go. Here are the top 3 areas where travelers lose their money. Preparation – I’m talking about all of the things that you have to spend money on, before you ever get on a plane. These are the immunizations, international documents, luggage, and insurances by which you set up the luxuries of home while abroad. 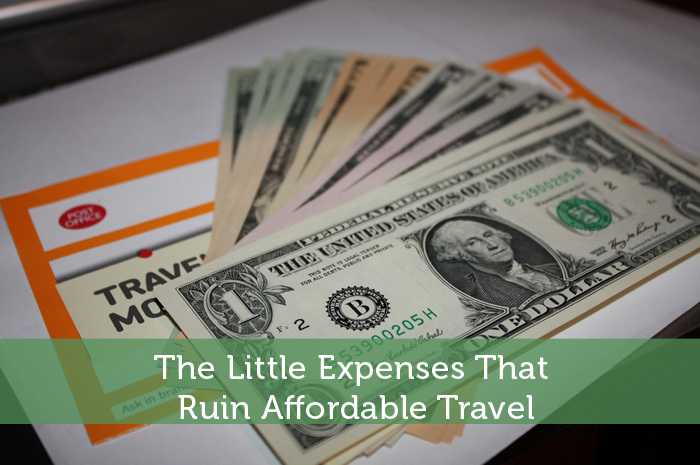 You’ve got to reduce these expenses before you can make travel truly affordable. For luggage, use long-lasting and low-cost offerings like Tesco. For official requirements like immunities and passes, parse these out across months and years – don’t foot the bill all at once. For lifestyle standards abroad, be willing to live a little rougher. Prioritize safety higher than comfort. This will save around 70% of the cost that tourists pay to make sure that foreign accommodations have all the luxuries of home. Travel isn’t about luxury. It’s about having a new experience. Let that be what it is. Lodging. Most travelers want lodging that is not just affordable – they want one that is totally safe and located in close proximity to fun and interesting things to do. The thing is, you can easily pay way more than you have to, for lodging luxuries that really exceed what you actually want. When I look for international lodging, I look for a place that is clean, with decent reviews. If it’s within a short drive or bike ride from local interest points, that’s good enough for me. I find that lodging located even five minutes from tourist hubs are at least 50% lower in cost than those right on the waterfront (or wherever). Do a little research, and be able to work with what’s affordable. You’ll be glad you did. Many travel cards can make these locations more affordable. Food. Eating while traveling is easy to work out, as long as you follow the same rules I’ve laid out above. A) Eat where locals eat. B) Don’t be afraid to eat something unfamiliar. C) Look for good reviews of places outside of tourist traps. D) Shop at a grocery store and shop for yourself. With these simple tactics, you’ll save an enormous amount on your travel budget. I’ve got plenty of other articles on how to find a cheap international flight. This is essential to making the process doable. Check those out and make them happen. Once you’ve landed, these other tactics will make international travel possible for just about anybody. We don’t need really luxurious accommodations, but given our health problems, my husband and I spend more time in the room than most travelers, I think. Also, depending on the public transit situation, we generally have to stay closer to where the action is. Otherwise, I spend a good chunk of my energy just getting there. That said, I think it’s a bad idea to pay through the nose just to be right in the center of things. So one thing to consider with the hotels is less about distance, although that should be kept in check even for healthy people, and more about whether it’s near good public transit. Some good guidance. I always recommend people start saving early, buy any necessary tickets in advance and choose your vacation location wisely. The further out that people start saving, the more they can save and there is less of a need/desire to use money intended for investing. Most tickets (e.g. airline) are less expensive the further out from the event they are purchased. Too often people think of only traveling to well known exotic locations when destinations closer to home might be just as interesting and a lot less expensive.